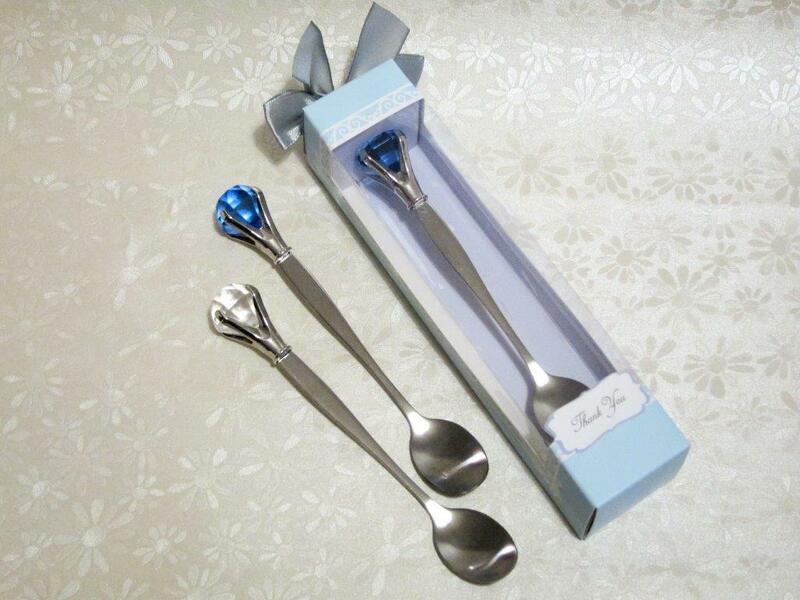 Bling Bling - This pretty bling dessert spoon will surely be handy for your home .. use this elegant dessert spoon and enjoy your dessert .. your guest will recall your sweet wedding. Comes in either blue or clear diamante. Price includes artcard box and PVC window comes with a ribbon for completeness.